Predator DNC provides complete RS232 transfer, dripfeeding, wireless and Ethernet communication support for all Haas CNC models simultaneously. Predator DNC maximizes the performance and capabilities of each Haas CNC model. Predator DNC includes all Haas RS232 and Ethernet protocols standard with the purchase of Predator DNC software. 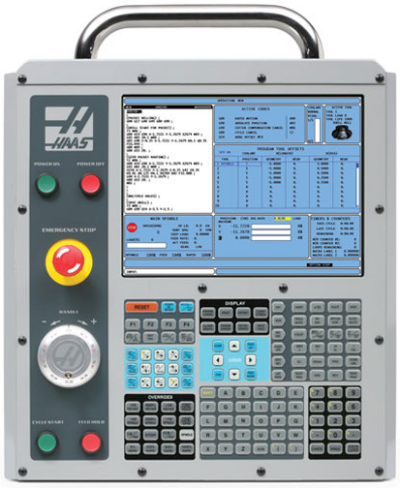 Not all Haas CNC networking options are available for all Haas models. NOTE: The Haas Custom Macro option may have to be purchased from Haas. When should Predator DNC's XModem be used? Predator DNC provides XModem for Haas CNCs when dripfeeding or high speed communications is desired. Can Predator DNC capture DPRNT output from a Haas CNC? Yes. Predator DNC supports Haas DPRNT output for in-process inspection or manufacturing data collection from a wide range of Haas CNCs.